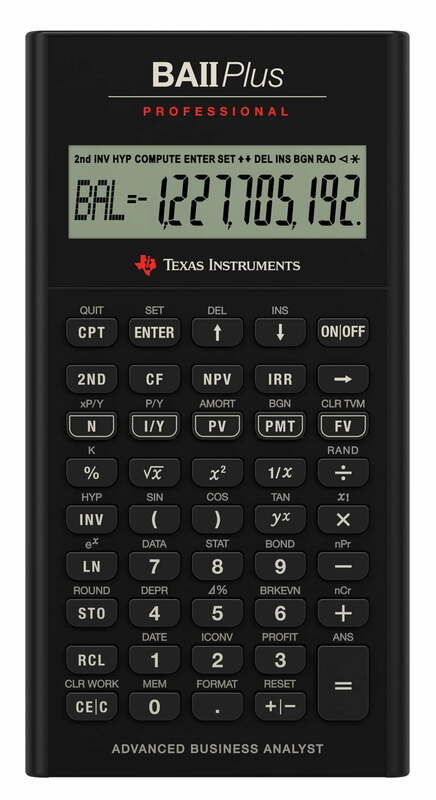 the The BA II PLUS PROFESSIONALfeatures even more time-saving calculations to make short work of complex equations. It’s ideal for finance, accounting, economics, investment, statistics, and other business classes, as well as on the Chartered Financial Analyst (CFA®) exam. The BA II PLUS PROFESSIONAL has a highly professional look and feel, with a rugged, brushed metal exterior; improved display; high-quality, firm-touch keypad; black protective case; and no-slide rubber feet.